In 2017, QuestionPro Audience developed blogs, infographics, and data-based surveys filled with compelling information. If you missed them the first time, never fear! We have compiled a list of our top 5 blog posts for your reading pleasure. Enjoy! 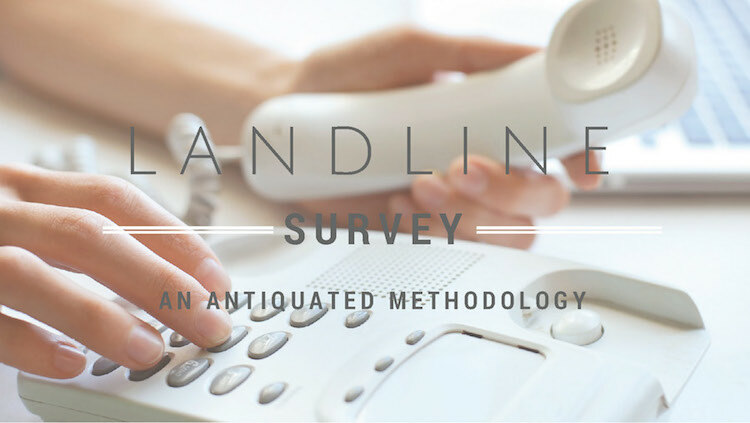 Back in the 1990’s, virtually every household had a landline, and people would answer the phone and talk to survey research callers. However, times have changed, even though some researchers are stubborn about admitting the change. 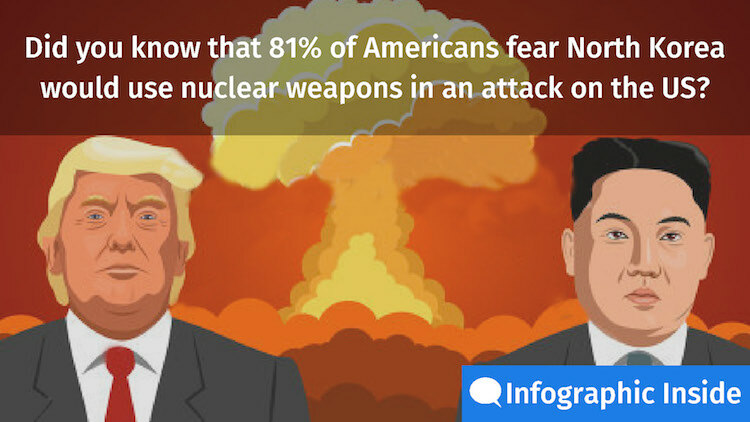 QuestionPro Audience conducted a survey to understand what Americans think about this international crisis. Respondents were asked a series of questions to gauge their perception and attitude towards this much critical topic. Find the full research inside. 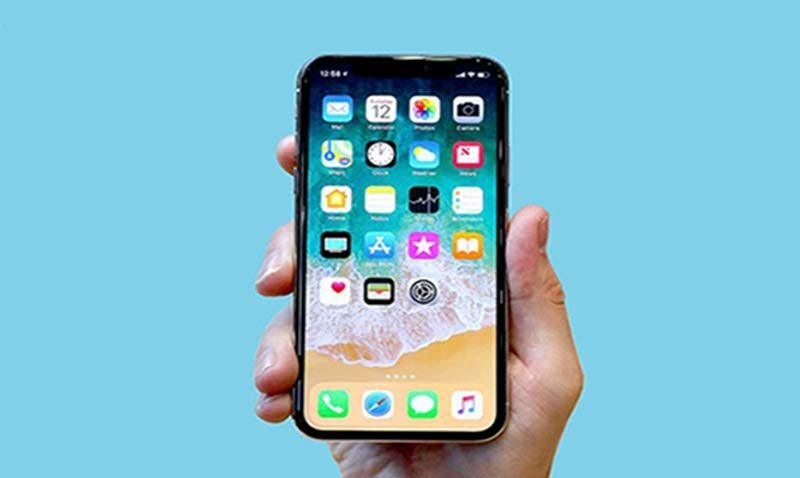 2. iPhone X – Are Consumers Willing to Pay? Unless you’ve been living under a rock for the past decade, you’ve heard of, used, and/or own an Apple product. When Apple first debuted the iPhone in 2007, it revolutionized smartphones and changed the industry. Why Is Your Company Not Conducting Market Research? The continuous flow of information has rapidly changed today’s digital environment and ideation exchange between businesses. This, in turn, has altered economies and technologies, as well as driven companies to expand their research horizons. While market research has proven to be an effective tool, not all businesses are convinced about the accuracy and value that it provides. Companies large and small all require accurate and timely information in order to meet market demands and stay ahead of the game. The goal of market research is to equip companies with the information needed to conduct business decisions ranging from product development, to product placement, and everything in between. Why, then, is market research not at the forefront of their strategies? Predicting outcomes is a strong part of any business decision; however, without the right information a company can’t properly prepare nor decide the next step for the business. The biggest misconception in the market research sector is that marketing activities should stay within the marketing department, consequently creating a narrow view and limiting the capabilities of research. Strictly speaking, marketing strategies should be used for marketing decision however, these processes are not solely for marketing activities. Instead, they contribute in the decision-making process company wide. Market research takes a variety of forms and is generally divided into two categories: primary and secondary research. Primary research answers specific questions whereas secondary research provides broad information. Unfortunately, because some companies question the value and benefits of conducting research, as well as the validity of the information, it fails to meet full potential. In other instances, companies do not have the necessary budget to conduct market research. Because of this, these circumstances have triggered a negative and complicated conception of research. Looking into specifics, we have primary research tactics, which involve the design and implementation of original research where data is collected to answer specific questions. Why is this so important? The advantage that this creates for business entities is a game changer. It allows them to gather information directly correlated with their operations not general information that applies to the industry or other businesses. An effective way to conduct primary research is by using an online panel provider, which provides a sample of respondents. The respondents used for panels are pre-screened and double opted-in to participate in a wide range of research studies. Surveys are the main tool used to collect the data of a specific sample. Online panels provide accessibility and efficiency when trying to reach specific audiences. The ability to tailor research to a company’s specific needs maximizes the advantages of using online panels. Understanding the impact of the data collection process for business decisions will change the misconception of market research as a secondary tool in the decision-making process. From developing a strong new product to determining employee satisfaction, market research can be used to obtain a deeper understanding of operational and day-to-day business activities; making it a must have for strong industry players. Integrating market research relies heavily on details such as organizational culture, financial implications and the urgency with which data is required. While these tend to diminish the number of companies implementing market research, businesses must remember that market research is made to accommodate businesses from diverse backgrounds and sizes; it’s tiers working as a well structured unit made to improve companies throughout. Refusing to use market research as a decision-making tool leads to misconceptions, misleading outcomes and erroneous business transactions that can greatly impact capital. In order to ensure that your business is successful and stay at the forefront of today’s fast paced environment, market research needs to be your go-to tool and you won’t be left behind. Whether or not is used depends on the culture of the organization, the financial implications and the speed with which a result is required; however, market research has several tiers that are able to accommodate the needs of a business. 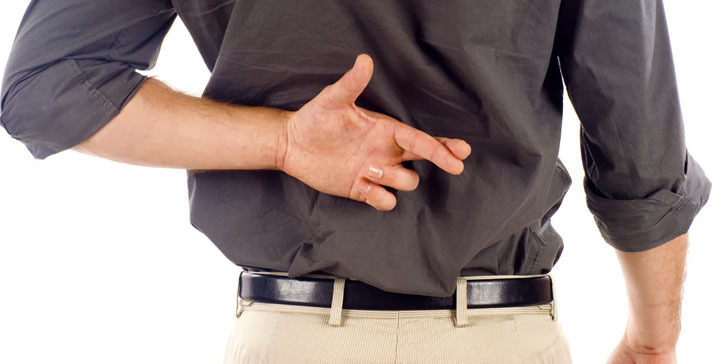 Neglecting the use of market research as a decision-making tool leads to possible misleading outcomes and erroneous business decisions that can greatly impact a business’s capital. In order for business to be successful and stay current in today’s fast paced environment market research needs to be conducted to aid in the business decision process. Market research has a myriad of applications. From product development, to determining employee satisfaction, it can be used to obtain a deeper understanding of operational and day-to-day business activities. As millennials come to age, numerous sectors such as the alcoholic beverage industry are seeing major consumption changes.The professional millennial cohort is the agent of change in this industry.The social work culture with after hours drinks are the new norm for this non-materialistic generation. The digital natives are constantly sharing their life experiences through social media channels and these experiences are shared with alcoholic beverages, representing a social status. With these factors influencing the drinking choices of millennials, the question remain on what type of alcoholic beverage are they consuming and what drinking establishments are they visiting? qSample conducted a survey to understand millennials’ alcoholic beverage preferences. The survey was deployed to more than 500 respondents on their drinking choices and confirmed the correlation between drinking preferences and the generational mindset. The data shows that 50% of older professional millennials, ages 27-33 are consuming alcoholic beverages in restaurants. In contrast, only 8% percent of this group is consuming alcoholic beverages at home.This highly sociable age demographic combines their social gathering with alcohol consumption.When visiting restaurant establishments, (74%) of older millennials are often ordering alcoholic beverages when dining out. As this demographic enters the peak of their careers, their disposable income increases, given them the ability to spend their income on luxury items such as alcoholic beverages. Despite having increased purchasing power, (37%) of these groups of millennials are choosing drinking establishments with drink specials and affordable drink prices. Within this affordable drinks trend, (54%) of older millennials indicated that they prefer to visit a BYOB restaurant when dining out.On the other hand, more than 48% of millennials professionals are keeping up with trends by choosing drinking establishments based on knowledgeable bartenders/mixologists, drink presentations, and exclusive in-house cocktails. Millennials have a wide range of alcoholic preferences, as a consequence, the alcoholic beverage market has seen several consumption changes within this generation. About (27%) of older millennials are choosing to drink beer when dining out, closely following (26%) drink wine and (24%) drink spirits. When visiting BYOB restaurants, (28%) of older millennial prefer to drink beer while the other millennial cohort (29%) prefer to drink wine. The consumption preferences of this generation can also be seen within their purchasing selections. When asked if they would consider purchasing a bottle of the drink of their choice at a drinking establishment, (97%) of older millennials responded yes. As this group of millennials is more established within their careers their consumption preferences are shifting between drinking beer and purchasing bottles. The strong economic power of older millennials is also presented in how much they are spending on purchasing a bottle when dining out. About (50%) responded that they spend between $40 – $59 on a bottle when dining out. The alcoholic beverage industry is exponentially growing both in volume and value.As millennials come to age, with their value-conscious behavior, they are constantly challenging the way this industry markets towards their generation. By paying close attention to millennials drinking habits, especially older millennials, alcoholic beverages companies and drinking establishments have a profitable opportunity. Factors such as knowledgable bartenders, drink exclusives, and drink specials are pivotal for millennials when choosing a drinking establishment. Understanding the shifting drinking preferences of this generation and their constant need for social functions will provide a higher value towards a brand. Ultimately, marketing tactics that are geared towards lifestyle choices and exclusive experiences will drive millennials’ interest. The ultimate goal for alcoholic beverage companies and drinking establishment is to understand the millennial mindset in order to succeed in sales with this generation. To download the infographic, please fill out the form below and download it for FREE! Over the past few years, technology has changed the way research data is collected. Since this, online data collection practices have increased in popularity due to the increased access to the internet. Consequently, online panels have become the main avenue to collect data about a specific audience. Data quality encompasses several aspects, one of which is research methodology. The way research is being done highly affects the quality of the results. Survey research is one of the most common ways to conduct a study and data quality can be affected due to the design of the survey. According to a recent study conducted by Forethought Research, survey design has a direct relationship between respondent engagement and data quality. The research also showed that survey design influences the respondents’ perception. This indicates that respondent engagement is key in order to ensure data quality since lower engagement increases the risk of unreliable data. Survey design is imperative to keep respondents engaged. Therefore, researchers need to have a better understanding of survey design, which could influence the level of engagement in a research study. Survey design encompasses several elements such as content, question types, guidelines and survey length. The content of the survey is the foundation of the study. By delineating the content and understanding the targeted audience, the type of questions used in the study will set the parameters for the respondents’ engagement. (If you want to learn more about the types of questions to keep respondent engaged please click here.) Another element to consider in the survey design process is the utilization of clear guidelines to properly guide respondents through the study. Additionally, the survey length is a pivotal variable that could affect data quality, since tedious surveys lead to high exit rates and low response rates. Ultimately, all of these elements have an impact on data quality. 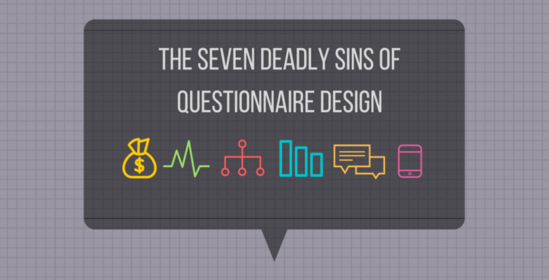 There is no single design method that affects respondent engagement. However, it has been proven that surveys that require more than 20 minutes to complete (and have very few interactive questions) lead to low response rate and high drop out rates. While it is true, survey design has a direct impact on data quality, it is important to remember that without a high level of respondent engagement data is unreliable. Companies conducting research for key business decisions need to ensure that the design of their survey is optimal in order to obtain quality data. In summary, survey design not only influences whether respondents abandon a survey, but also impacts the quality of the data. The ability to understand survey design methods can aid survey designers maximize engagement and increase the reliability of the data. As audiences become more difficult to reach, researchers and survey designers need to implement effective practices such as dynamic questions and incentives to ensure a higher respondent engagement. In today’s global technological environment groups, people are constantly bombarded with information. It is crucial to understand that when conducting a study, the effective use of survey design can help in the data collection process. On July 24th,1824 “The Harrisburg Pennsylvanian” printed a report of a straw vote taken in Wilmington, Delaware. This vote showed some of the early methods used in market research. Although, this event was not market research in itself, it used some of the early methods of market research. However, it was not until 1901 that evidence of market research became frequent enough to indicate that a new business field had made a prominent start. The need for knowledge had several businessmen looking for theories and methods to better understand the market, which ultimately created the market research industry we know today. Market research encompasses numerous methodologies, but the most common one is survey research. In order to conduct any type of research, it is necessary to have a quality sample of the targeted audience. Reliable sample is pivotal in market research. One of the key factors involving sample is selecting the correct sample size. This is crucial when conducting a study, if a sample size is too big this will lead to a waste of resources. Consequently, not having enough sample will lead to an inaccurate representation of a population. Survey accuracy is another qualifier when attempting to gather quality data. Researchers are constantly asking questions such as, are the results accurate? Is the sample reliable? There is no magic formula but here are a few things to consider when conducting a survey. There are two measurements that affect data accuracy. The first one is the margin of error (or confidence interval). In sum, this is the positive or negative deviation allowed on the survey results for the sample. In other words, is the difference between the opinion of the respondents and the opinion of an entire population. In order to better understand this statistical explanation, suppose that you set a margin of error of 5% on a study you are conducting about soccer. The results of this survey indicate that 90% of the respondents like to play soccer, a 5% margin of error indicates that you can be sure that between 85% (90%-5%) and 95% (90%+5%) of the entire population likes to play soccer. The second measurement that affects data accuracy is the confidence level. This measurement indicates how often the percentage of a population actually lies between the boundaries of the margin of error. Following the example above, the confidence level tells you how sure you can be that between 85% and 95% of the population likes to play soccer. Suppose that you choose a 95% confidence level, this interval will indicate that in 95% of the time, between 85% and 95% of the population like to play soccer. A 95% confidence level is standard in quantitative research, since a higher confidence level such as 99% indicates greater accuracy but represents a higher cost. After understanding the two measurements that affect data accuracy you can use an online calculator to determine the sample size of a population or you could use the formula presented below. How often do you consume alcoholic beverages? f) I do not consume alcoholic beverages? If respondents choose option F the survey will be terminated since the respondent will not qualify to participate in the study. This type of question at the beginning of a survey helps increase data quality. Data sanitization involves the detection and removal of errors and inconsistencies in a data set due to the incorrect entry of the data. Incorrect or inconsistent data can create a number of problems which can lead to the drawing of false conclusions. Therefore, sanitizing a data set can improve the accuracy of survey results but it has to be done with care in order to avoid problems such as, the loss of important information or valid data. In sum, there are several elements that dictate survey accuracy. When conducting a survey it is imperative to keep in mind the sample size, margin of error, screening questions and data collection practices to ensure data accuracy and ultimately data quality. American voters are heading to the polls in November to determine for the 58th time their country’s president for the next 4 years. While presidential elections are known to provide good theatre, the 2016 Presidential Election has been filled with some interesting twists and turns, and is undoubtedly one for the ages. The Republican nominee, Donald Trump, whose loose cannon speaking style has created a firestorm even among his own party, is viewed as a social media scandal machine. On the other side, we have Hillary Clinton, a former First Lady, Senator of New York and most recently Secretary of State, who simply can’t seem to shake some of her old ghosts – email issues, wall street and even issues with her own foundation. With less than 5 weeks left before the general election, these two candidates are keeping voters on the edge of their seats. In order to gauge the pulse of American voters heading into the general election, we conducted two surveys to compare how the opinion of the general US population differs from those in a battle ground state like Florida. The surveys were conducted using qSample’s likely voter panels. More than 450 respondents participated in each survey, with an even split on party affiliation. The data gathered has provided critical insight regarding where voters stand on various issues, when it comes to these two candidates. The data reveals that despite lack of experience and a series of faux pas made in his presidential campaign, Florida voters are leaning towards Trump (50%-38%) in this upcoming election. However, Secretary Clinton is holding on to a slight lead among the general US population (41%-37%). The data also shows that more than 20% of respondents cited patriotism as the reason they would vote for Trump. While Floridian voters think Trump cares more about the country than Clinton, they also indicated that she has better economic and foreign policy experience than Trump (17%). When comparing the data, both audiences seem to agree on this point – Clinton has more political experience, whereas Trump seems to care more about the country. Voters from both panels were asked which candidate they feel is more qualified to be president and their feelings on the current state of the country. Florida voters indicated that Trump is as qualified to be president, with both candidates splitting the votes at 42%. This number is not surprising, since Floridians typically vote Republican in general elections. On the flip side, general US voters give Clinton the nod as most qualified to be president by 44%.-37%. Roughly 40% of US respondents indicated that the country is heading in the right direction or about the same direction. Despite a strong job market, universal healthcare and a strong economic recovery, a large portion of the respondents (58%) indicated that the country is not heading in the right direction. When it comes to how respondents stay up to speed with this year’s election, both panels indicated that they follow the presidential election mainly via television (38%). Print media is not yet dead, at least for presidential elections. More than 21% of respondents in our survey indicated that they follow the election by reading newspapers, followed by social media outlets. If the trend from 2012 continues, it appears that voters from the battleground state of Florida are leaning to vote Republican in the 2016 Presidential Election. While it will be a tight race, the data shows that the general population will help Hillary Clinton break that glass ceiling.